Analytical call tracking uses dynamic numbers insertion (or static numbers) to track all sales channels including; offline, website visits and phone calls. Our call analytics tool provides clear actionable data to improve marketing spend and boost sales efficiency of marketers. Our call tracking tool prevents clients from wasting money on certain leads that are not converting, and begin managing sales phone calls, including dropped calls, more effectively. We aid in painting a holistic picture of your different channel attribution, improve your marketing ROI. See exactly what particular keywords and channels (including offline) make your business sales. Inject your money into channels which are driving your business the most profit and maximise campaign engagement. Make Business Decisions Based on Facts. Remove any guessing of channel performance and allow our call analytics software to display insightful and accurate data. Use this to assist in making critical business decisions with confidence and reduce wasting money. Remove any website blockages limiting your users to convert on-site and focus on what your user wants and needs from your website. This will help to reduce specific page bounce rates to increase sales calls. 65% of buyers will choose to phone as opposed to other forms of contact, but only 1 in 4 calls are answered well and proactively. It’s no secret that not all customers will call back after a bad call experience, so what’s the answer? We help to track and truly understand the complete sales process. 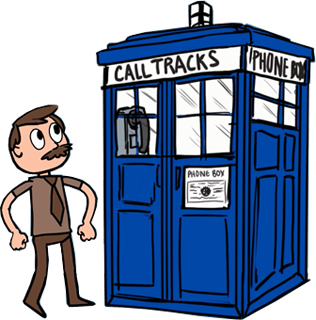 Call recording can enhance employee performance and develop specific training and support. This can be a great solution for call centres and individual businesses. Our call analytics enable you to instantly connect with what your customers genuinely want and need. A better understanding of your customers and what they’re searching for can leads to more profitable sales. Calls that have been left for over an hour are 80% less likely to convert. Be able to pinpoint, act quickly and revive those important missed sales calls before your potential customer can go elsewhere. Our customised dashboard delivers all the data in one place, and one-click real-time alerts revive dropped leads. We help your teams in marketing and sales effectively succeed within their role and gain valuable insights. All you need to get started with 10 static numbers. Includes all feeds, set-up, and integrations. Incoming call recording charged extra. Includes unlimited dynamic numbering and 50 static numbers. 250 incoming calls, feeds, set-up, and integrations. Missed and engaged call reports and source of enquiry reporting. Unlimited dynamic numbers, 100 static numbers, and 1,500 incoming calls. Customer specific roles and customisable dashboard. Includes all the features above plus unlimited static number. Sales Linking Service, CRM integration and google analytics dashboard. In other words, the full kit and kaboodle! With over 14 years’ experience within the automotive industry working with the largest and most demanding groups. We are experts in the industry and our call tracking products match the needs of small and larger dealer groups. We work with over 300 dealerships supporting them with all the data and information they need at a branch, regional and head office level. Our estate agency experience spans over 5 years’. We have a large amount of experience in solving issues faced but estate agents. Buyers are in-market for a short period of time and repeat purchase very infrequently. It’s a high-ticket, heavily researched and considered a purchase, where the buyer can be put off by poor service. "L&C Mortgages is the UK’s leading fee-free mortgage broker. The business was born over 20 years ago, offering fee-free advice over the phone in contrast to most other brokers who offered face to face advice and charged a fee for their service. They use Calltracks to assist them to pull into data to their Analytics platform to get a complete dashboard view of their online frontend performance but also to gain a greater understanding of their offline performance too." "Sandown Group is a leading supplier of new and used Mercedes-Benz and smart cars across 6 locations in Surrey, Dorset, Wiltshire and Hampshire. They provide the best possible service with the help of their really experienced and highly motivated staff. The company use innovative marketing to reach and engage with customers and are very active in all online channels. The Marketing and CRM team is headed by Keith Jackman who is also Dealer Principal in Basingstoke." "The Richmond team had been working with another tracking supplier but wanted a much more detailed and granular analysis to aid decision making. Calltracks came on board about 4 months ago and immediately saw the value of the new ‘Rapid Response’ alerts. Richmond became one of the first users of the alerts and worked with Calltracks to evolve the product features." Give credit – where credit is due! Stop leaking phone calls could DOUBLE your sales.